We reported yesterday that several high-level employees had parted ways with Rothenberg, including its director of finance and the head of its SF office, who happen to be father and son (Tom and Tommy Leep). We’ve subsequently learned that firm departures run far more widely. Other top executives who’ve left include the company’s chief revenue officer, who quit yesterday; the company’s chief financial officer, who left in June; general manager James Taylor, who left very recently; and Fran Hauser, a former president of digital at Time Inc. Hauser was brought in with some fanfare as a venture partner in May 2014. Yesterday she updated her LinkedIn profile to reflect that she left Rothenberg in July. Messages to Rothenberg have not been returned. According to one source, Rothenberg Ventures founder Mike Rothenberg has told those remaining that “very few people will be left.” In what appears to be a related development, the firm’s site has been down since last night. Why the mass exodus? According to one source, Rothenberg Ventures is answering questions from the SEC after a lower-level employee alerted the agency to what this person reported as wire fraud and breach of fiduciary duty. This same source says the employee was subsequently fired and is now suing the firm for retaliation. It all began as a minor but inspirational story, proof that the American Dream can still come true. Rothenberg, an Austin native who says he comes from humble means — “no one in my family has any money,” he once told us — was smart enough to nab undergraduate and graduate degrees from Stanford, then bootstrap a real estate fund with his brother before moving on to Harvard to secure an MBA. His timing was ideal as these things go. In 2012, the market was in the middle of a three-year upswing, following the financial crisis of late 2008. Some newer faces were also beginning to gain prominence in the venture industry, along with the trust of so-called limited partners — the individuals and institutions that fund venture firms. Rothenberg is also a natural salesperson, and, as such, quickly evolved his pitch for Rothenberg from yet another seed-stage fund to a thought-leading outfit willing to make big bets on virtual reality before most people in Silicon Valley saw it as a major opportunity. Indeed, by late 2014, Rothenberg Ventures — whose more garden-variety bets include the clothing company Chubbies and the floral delivery startup BloomThat — announced it was launching a startup accelerator, River, that planned to provide $100,000 in seed funding to virtual reality companies expressly. 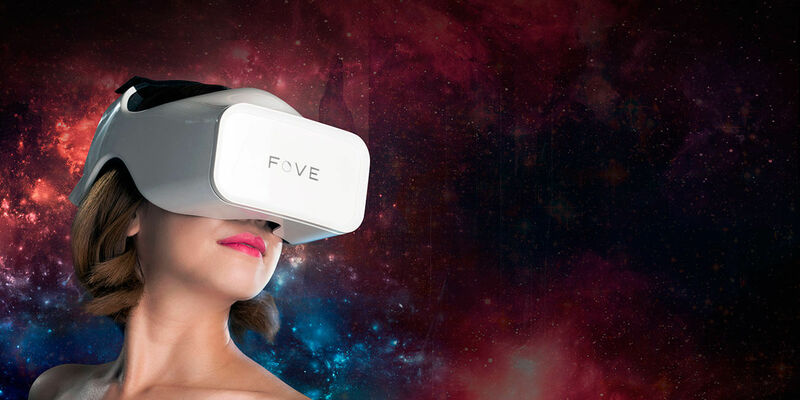 Among its bets was FOVE, which makes an eye-tracking head-mounted display and went on to raise an $11 million Series A round earlier this year. Rothenberg Ventures — which counts many people in tech and finance as backers, including Jeff Seibert, a former head of product at Twitter, and Michael Cronin, founder of the private equity firm Weston Presidio — also inserted itself increasingly into celebrity circles, say employees, including buying tickets to the Golden Globes, co-sponsoring actor Chace Crawford’s 30th birthday party in West Hollywood and spending unsparingly to executive produce a video for Coldplay. All the while, Rothenberg was hiring, employing up to 60 people across Rothenberg Ventures at one point. For a firm that manages hundreds of millions of dollars, that wouldn’t be a startling amount of overhead. But Rothenberg Ventures has raised $47 million across four funds dating back to 2013, according to SEC filings. Given that firms typically collect 2 percent of what they raise in management fees, that would leave just $940,000 per year for Rothenberg’s entire operation. In fact, most funds of a similar size are run by two or three people. Certainly, while employees paint a picture of an overly ambitious founder who paid too little attention to his firm’s finances, many outsiders like Rothenberg and have benefited richly from Rothenberg Ventures’ generosity.